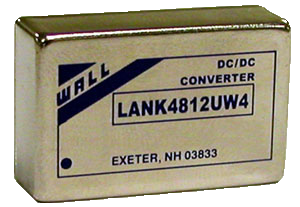 LANK series of DC/DC converters provide 2~4 watts of continuous output power in a low profile DIP package. 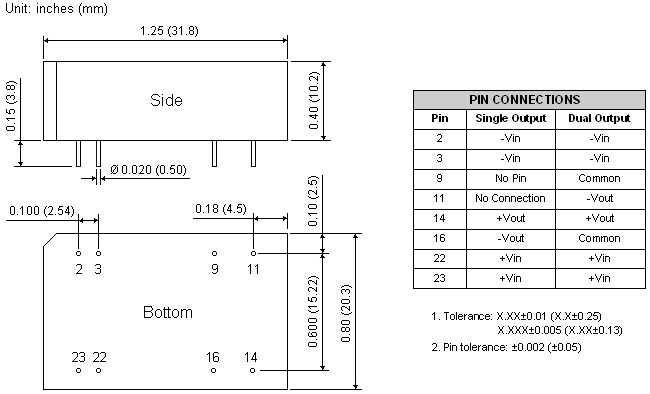 These converters operate over 2:1 input voltage ranges of 4.5-9VDC, 9-18VDC, 18-36VDC, and 36-75VDC and 4:1 input voltage ranges of 9-36VDC and 18-75VDC. This series also has standard single output voltages of 3.3, 5, 12, 15VDC and dual output voltages of ±5, ±12, and ±15VDC. Some features include continuous short circuit protection, 1500VDC I/O isolation, -25°C to +71°C operating temperature, and built-in filtering for input and output. The LANK series is an excellent selection for a variety of applications some of which include data communication equipment, mobile battery driven systems, distributed power systems, telecommunication equipment, mixed analog/digital subsystems, process/machine control equipment, computer peripheral systems, and industrial robot systems. 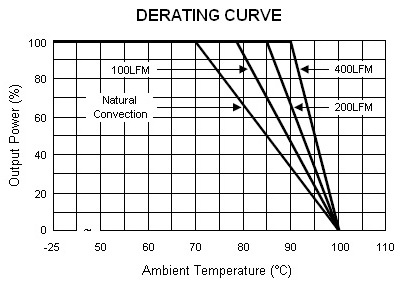 Notes: (1) Transient recovery time is measured to within 1% error for a step change in output load of 50% to 100%. (2) The LAN K series requires a 10% minimum load on the output to maintain specified regulation. Operation under no-load conditions will not damage these devices, however they may not meet all listed specifications. (3) All DC/DC converters should be externally fused at the front end for protection. (4) Due to advances in technology, specifications are subject to change without notice.